This book seemed appropriate for a bird-themed bookshop, but the introduction is what hooked me. 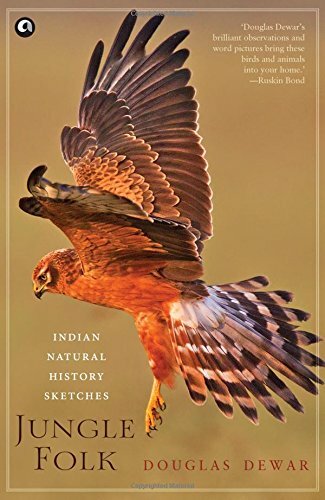 According to the author, critics seem to feel that naturalists who write about the birds of India have adopted a cliched sort of humor that follows a pattern set by their predecessors (I wouldn’t know). Dewar insists that the reason for this levity of style is not mimicry but the unusual “birds of character” with which India is populated (p. 1). These include the extremely beautiful (i.e. peacocks), the extremely ugly (i.e. scavenger vultures), or the extremely grotesque (i.e. the great hornbill; look it up–it is pretty peculiar). For our part, although we can hear a number of exotic bird calls outside our hotel, the birds themselves seem to be rather shy. We have only caught sight of what we take to be a “Brown-Necked Crow” (according to our Birds of Central Asia–admittedly a little to the north of the subcontinent), which are as common as pigeons in New York. 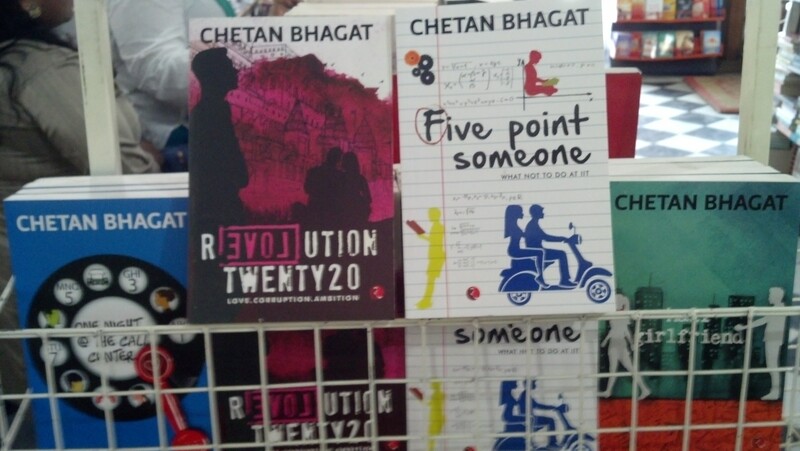 Chetan Baghat is a successful writer who wrote five novels before turning his attention to nonfiction and social reform. Quoting from his blog: “The New York Times called him the ‘the biggest selling English language novelist in India’s history’. Time magazine named him amongst the ‘100 most influential people in the world’ and Fast Company, USA, listed him as one of the world’s ‘100 most creative people in business’.” http://www.chetanbhagat.com/ An acquaintance recently recommended Baghat’s Half Girlfriend. This book piqued my interest because I have seen TATA everywhere since we arrived. I had gathered that it is some sort of corporation, so I picked up this book to learn more. 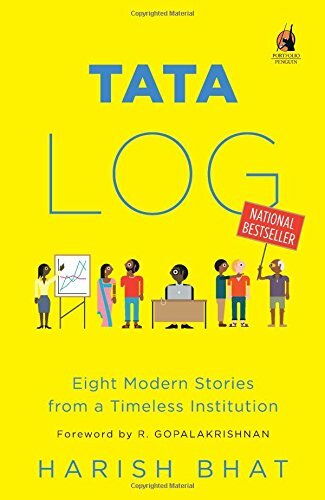 According to Wikipedia (which corroborates what I read in the intro of the book), TATA was founded in 1868 in India by Jamsethi Tata and has grown to encompass 106 companies, each operating independently, in more than 100 countries. Gerald Durrell (1925-1995) was a Brit who grew up in India and on the Greek island of Corfu. The title of this book caught my attention because of my recent acquisition of My Husband and Other Animals, by Janaki Lenin, wife of Rom Whitaker, founder of the Madras Crocodile Bank Trust (click the link for the account of our fascinating visit there). 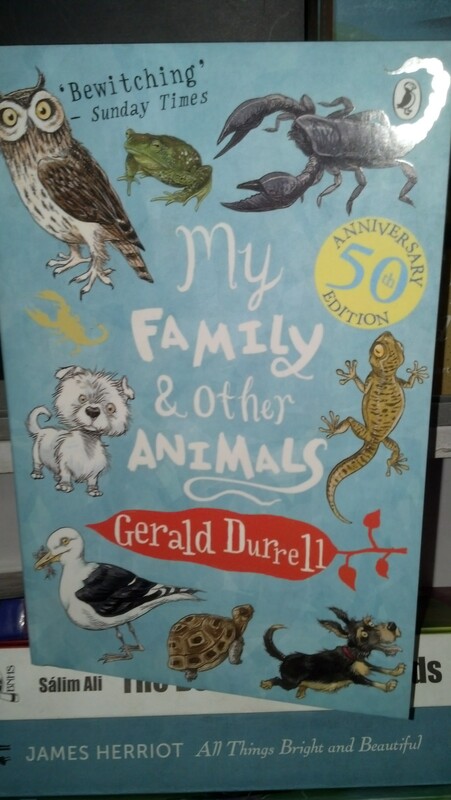 The connection clearly goes beyond the title, as Durrell was a naturalist, zookeeper, and conservationist. 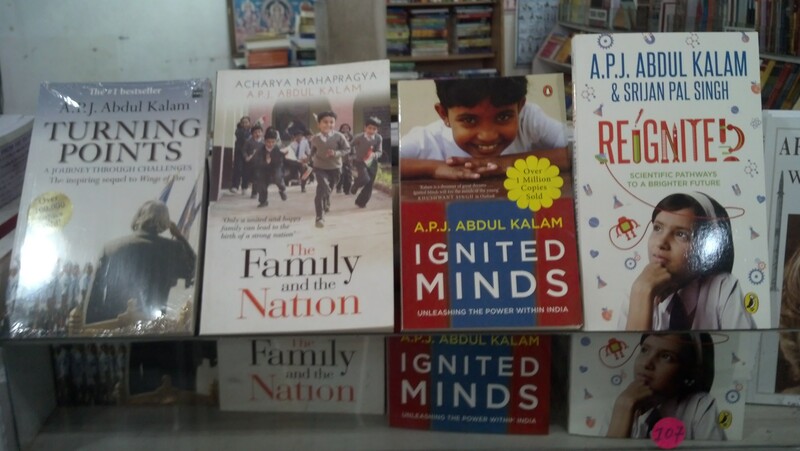 The row of books above are by the award-winning author Amitov Ghosh, whom Bishwanath Ghosh (see below) calls “India’s tallest literary figure today to be writing in English.” He is a prolific author of fiction as well as nonfiction. In graduate school I thoroughly enjoyed In an Antique Land, in which he interweaves history and other ties between Egypt and India. 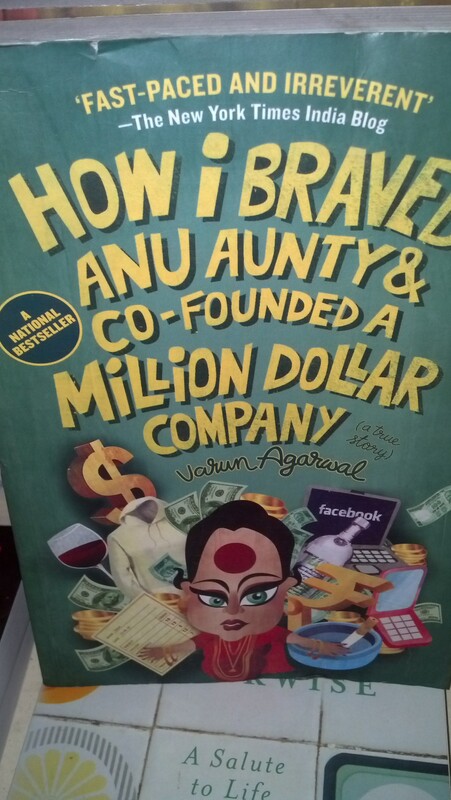 We started reading this book before we came to India. Its presence at Higginbotham’s suggested to me that it’s not just foreigners (like us) who read it. This Ghosh is a journalist known for his travelogues. The Lives of Others, by Neel Mukherjee, utilizes fiction to explore the significance of social class in India and the possibility for change. In a country where individual potential, at least in certain circles, is still determined by caste, this is more than a theoretical question. This book’s appealing cover suits its intriguing premise. 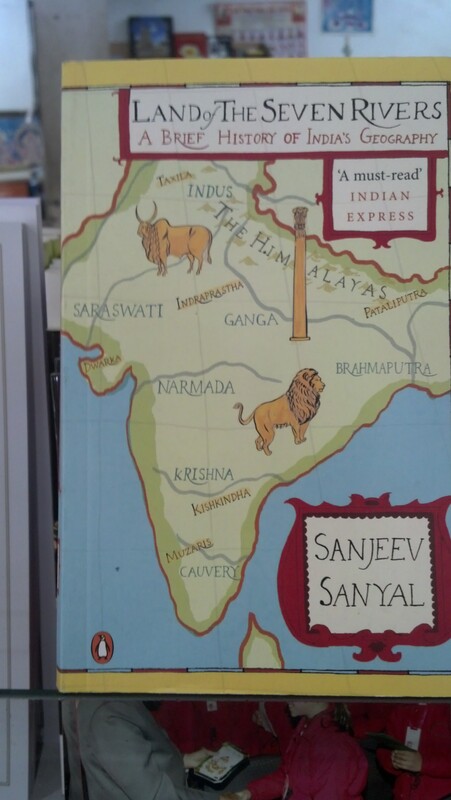 The Land of the Seven Rivers, by Sanjeev Sanyal, examines the interrelation between India’s history and its geography. I observed the face of APJ Abdul Kalam on posters plastered all over town when we first arrived in Chennai. It turns out that Kalam was a beloved and widely respected former president of India who just passed away on July 27 of sudden cardiac arrest. His popular books outline his ideas about how to build up the Indian people and nation. Having learned this, I was particularly intrigued when a new friend and native of Chennai told me he had interviewed Kalam during his presidency. 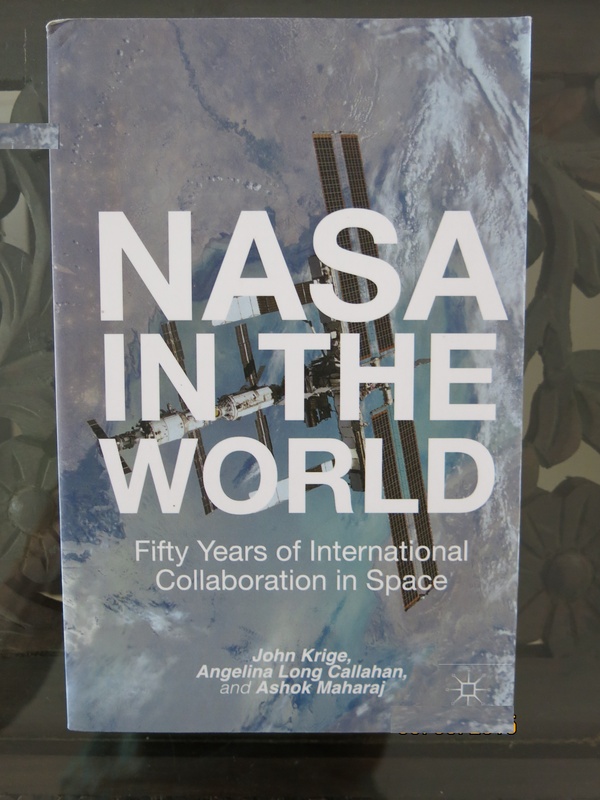 Our friend, Ashok Maharaj, was co-authoring a book on international collaboration in the development of America’s space program. His focus, naturally, was India’s role. 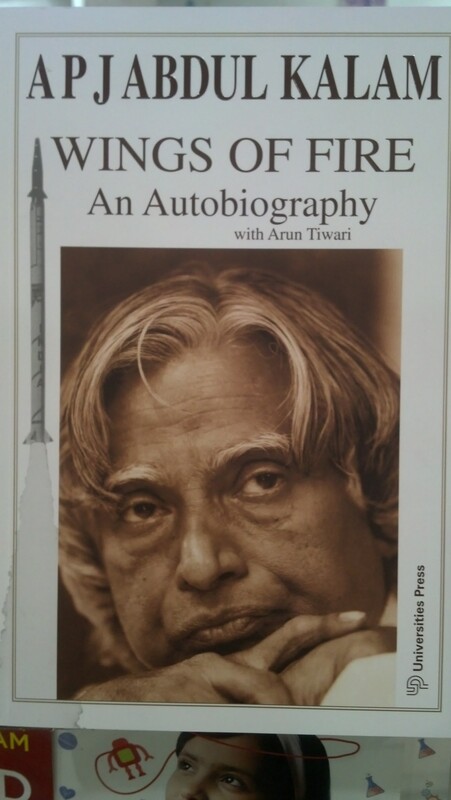 Kalam was an engineer by education and profession and thus, as president, perfectly positioned to address both the technical and political aspects of the subject. 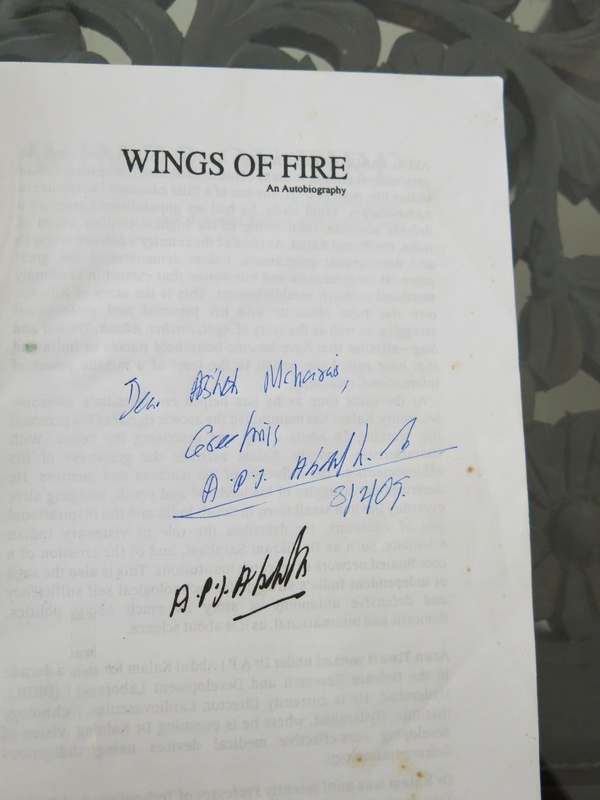 I felt rather awed to be handling the book below, inscribed and signed for our friend. I picked up a collection of Kalam’s writings from the Renga Reading Library but had to return it before reading much more than a few autobiographical pages. I hope to have a chance to read more of his writings before long. 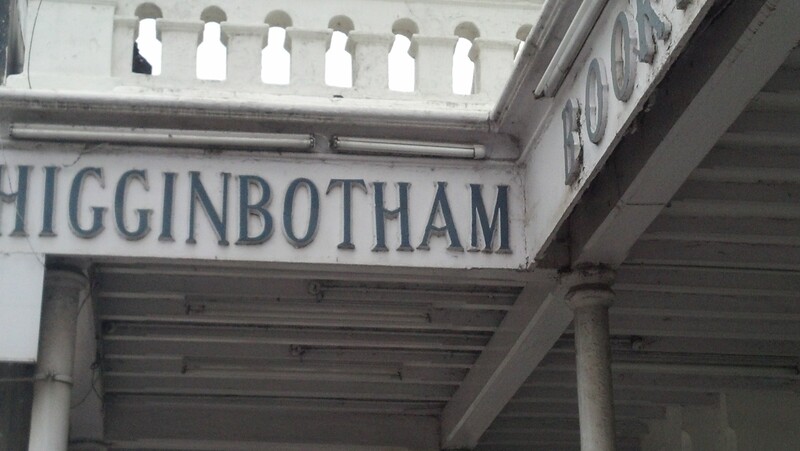 This entry was posted in books, bookstores, Chennai, South India, Travel and tagged books, bookstores, Chennai, Higginbotham's, Indian authors, Kalam, South India, Tamil Nadu, TATA, Travel. Bookmark the permalink. I went to this very book store when I was in Chennai in 2013. We walked there from our hotel. I’d definitely go again.